Ukraine will receive the next tranche of its stand-by program credit from the International Monetary Fund by the end of this year, if a parliamentary coalition and new government are formed by the time the fund ends its current mission in Ukraine, National Bank of Ukraine Governor Valeriya Gontareva has said in an interview on the Ukrainian media Web site Hromadske.tv. The head of the NBU said that the IMF mission has been working in Kyiv since November 11, and intends to complete its work by November 25. "Our main task is to form by that time a new government, a coalition, and a workable Verkhovna Rada. Only after that we will get the next tranches [of the stand-by credit]. If this happens, we will get a tranche of the loan before the end of this year," she said. 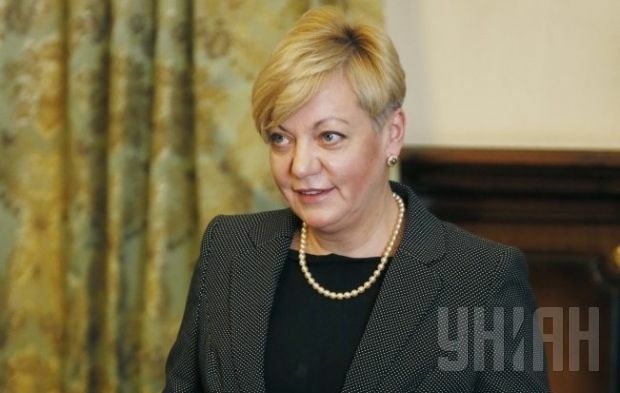 Gontareva said the third and fourth tranches of the IMF loan might be provided at the same time. "If they combine the third and fourth tranches, we will get $2.8 billion, but I think that we can talk about the allocation of a larger amount," she said, without specifying how large that amount might be. "The funds received will be used to replenish the country's international reserves. Our foreign exchange reserves amounted to $12.5 billion at the end of October,” Gontareva said. The head of the NBU said that the conditions of the IMF program for Ukraine might be eased. "It was clear in July that the economic situation had worsened. But when active military operations began in August and September, and the ATO zone accounted for 15% of our industrial output and 10% of our GDP, it was obvious that we would have to change our macroeconomic forecasts. And if we changed the forecasts, we would [have to] completely change our indicators. We discussed this with the IMF in Washington on October 8. Now the mission has come to Ukraine. They’re making their forecasts, we have a full understanding, and I think the IMF will support us in this." As UNIAN reported earlier, an IMF assessment mission headed by Nikolay Gueorguiev came to Kyiv on November 11. According to the results of its work, the mission will prepare a report on the economic situation in Ukraine and submit it to the Board of Directors of the Fund for a meeting that will take place in late December or early January 2015. At that meeting, the council may approve the decision to allocate Ukraine the next tranche of the credit and the revision of the program. As reported earlier, the IMF approved a two-year program of cooperation with Ukraine worth a total of $17 billion at the end of April this year. Ukraine has already received $4.5 billion in two tranches of the credit, which were disbursed in May and September.